The Kinetic Drypack is perfect for keeping your gear dry when fishing, hiking or mountain biking! The front pocket features a waterproof zipper and the seams have been welded to create a 100% waterproof bag. It also features adjustable shoulder straps for optimal comfort. 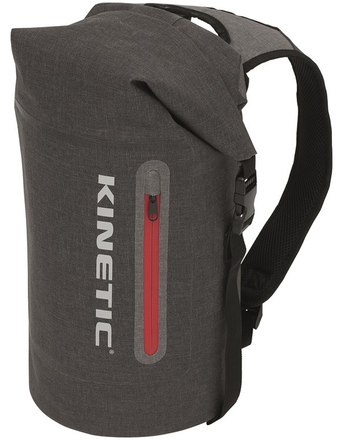 The perfect bag for keeping your gear dry during outdoor activities!